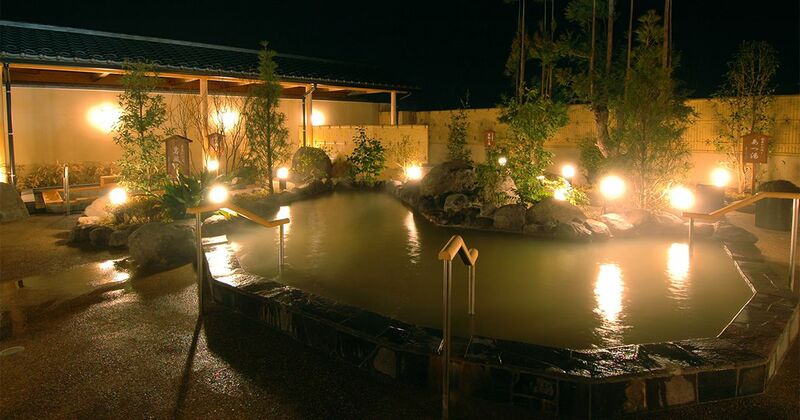 Enjoy the ten kinds of hot spring baths in this spa resort that is situated along the banks of Teganuma Lake. For long, Teganuma region been the source of livelihood for many. 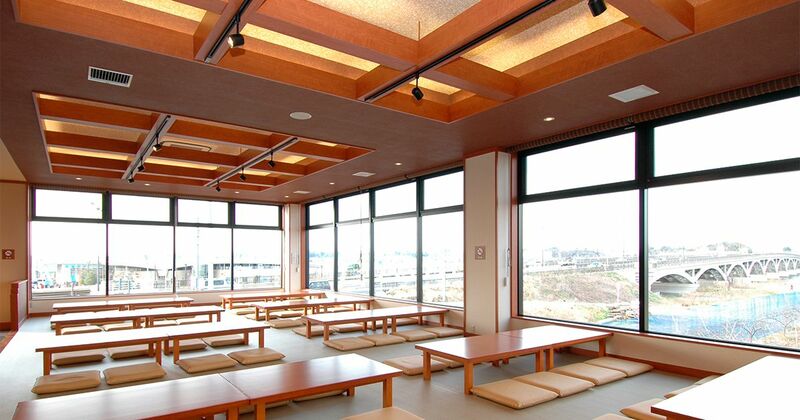 History shows that it has been inhabited since the Jomon Period, and during Heian Period, it was called Tekanoura. 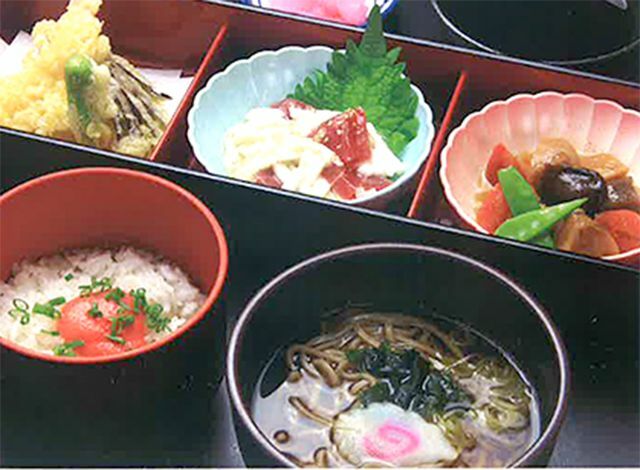 It was embraced by the cultured during the Taisho Period, and through all generations, it has attracted many. One day, in this elegant region of Teganuma, hot spring water gushed up from below the ground as though God were calling out to the people. 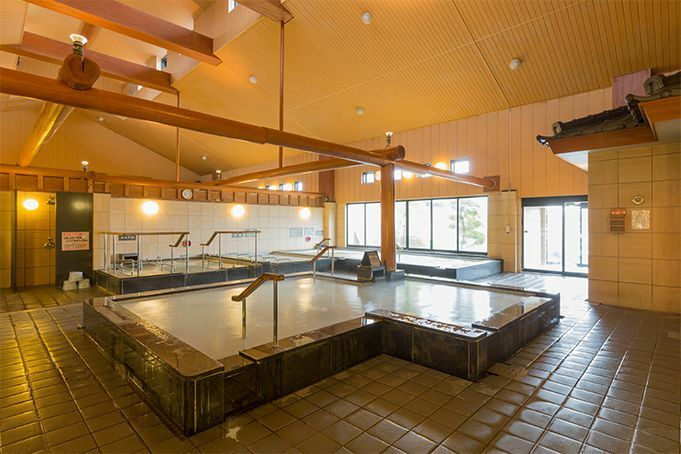 The resort has since come to be called “Teganuma Hot Springs,” named after the region. We hope that this spa resort, so appropriate to this region, will serve as an interactional setting for all those who come to visit. We ask that you use no more than one locker per person. Have a 100 yen coin ready for the locker. 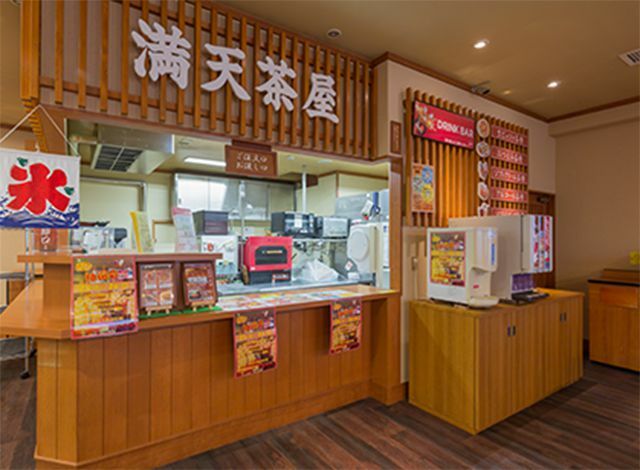 The 100 yen coin will be returned to you when you leave. ②Take the shoe locker key to the front desk. You will receive a wrist band to wear inside the resort. The wrist band needs to be worn at all times inside the resort. You will be asked to pay the entrance fee even if you are only dining or meeting someone and are not using the bathing facilities. Children under the age of three or those wearing diapers are not permitted to use the bathing facilities. Elementary school children and older are only permitted to use the same- gender bathing facilities. Anyone with tattoos or tattoo seals, or anyone who is intoxicated is not permitted inside. For safety reasons, the bathing facilities are not open to those who are unable to walk on their own. 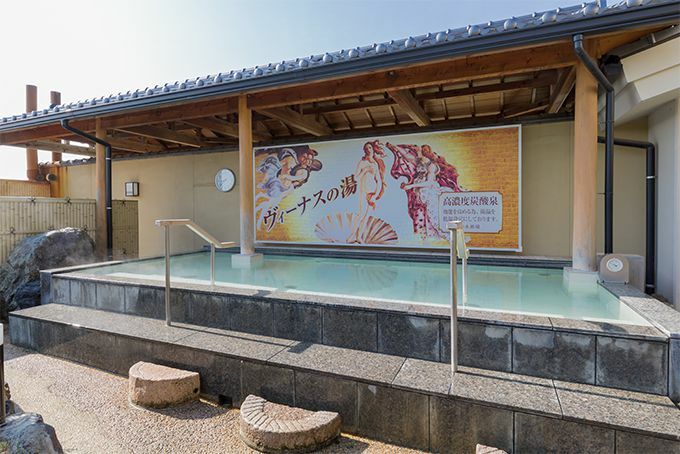 Enjoy the three types of free-flowing hot spring baths. The hot spring water that gushes up from 1800m below the ground has high scarcity value. 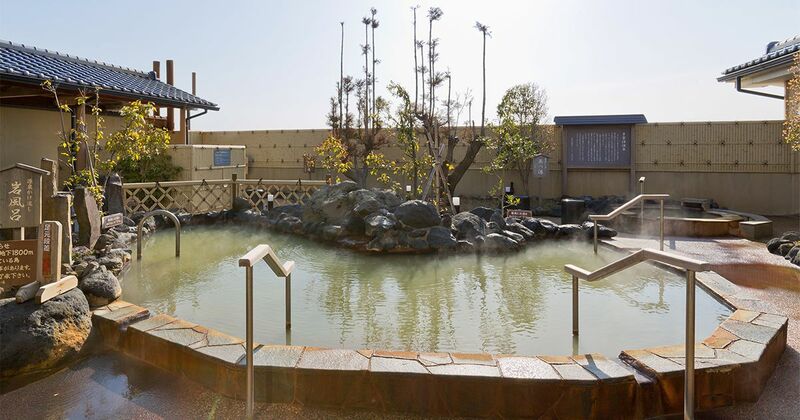 Rich in hot spring ingredients (high density of sodium chloride) and of high temperature at 40.5℃, the water has outstanding hot spring benefits. 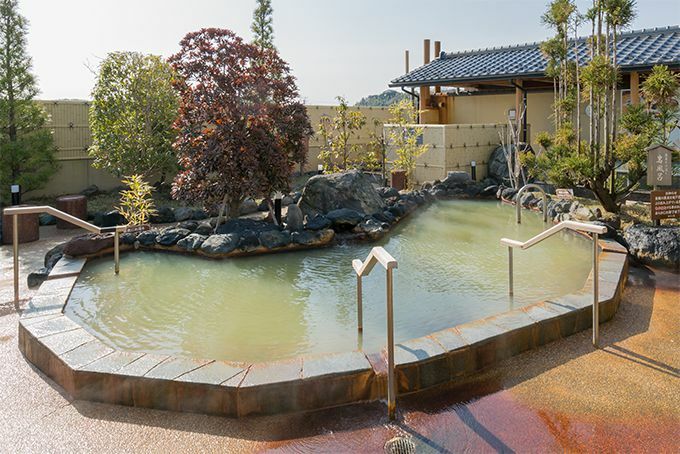 This is an open-air free-flowing hot spring bath. Stretch your legs and relax, and feel the nature! 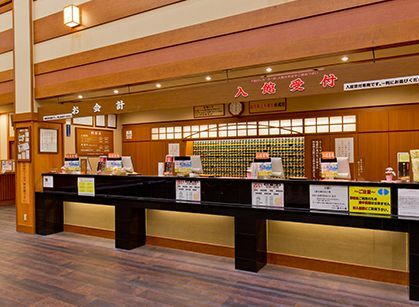 It has scientifically been proven that high density carbonated hot spring water improves blood circulation. It can help boost metabolism and make the skin radiant. 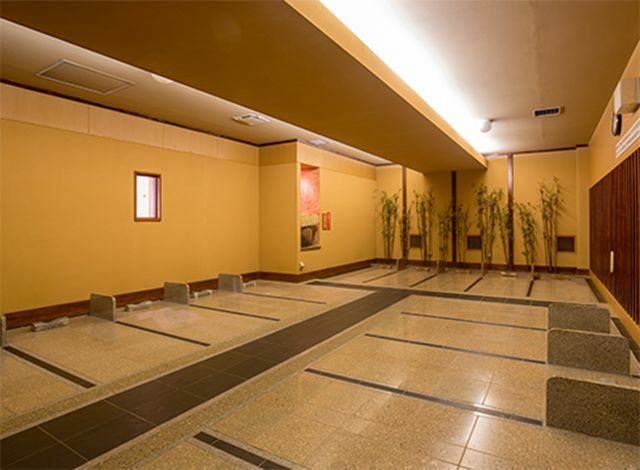 The indoor baths offer a spacious, relaxing space. There are five types of baths and sauna that have health and beautifying benefits. Surround yourself with the warmth of the wood as you experience the slow passage of time. There are three types of bedrock baths. The low temperature sauna slowly warms your body to the core. There are three types of bedrock baths. 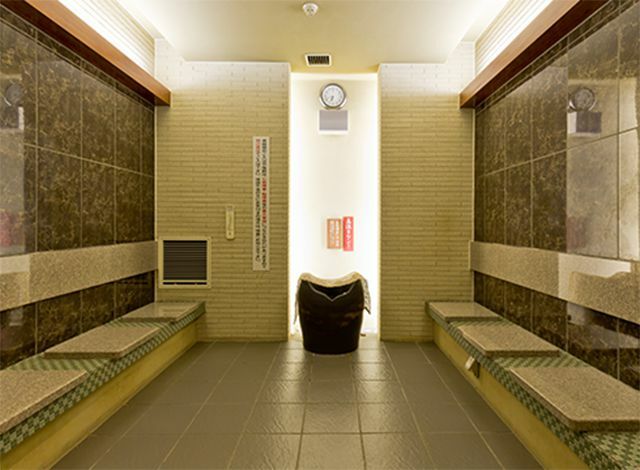 This is a low temperature sauna that uses a radium-inclusive plate for each layer. 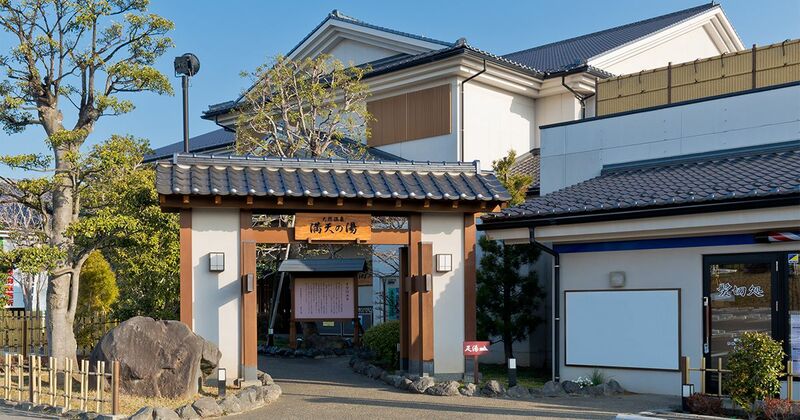 *The hot spring water contains radium that is found in the waters of Tamagawa Hot Spring and Misasa Hot Spring, both which are known for their therapeutic benefits. 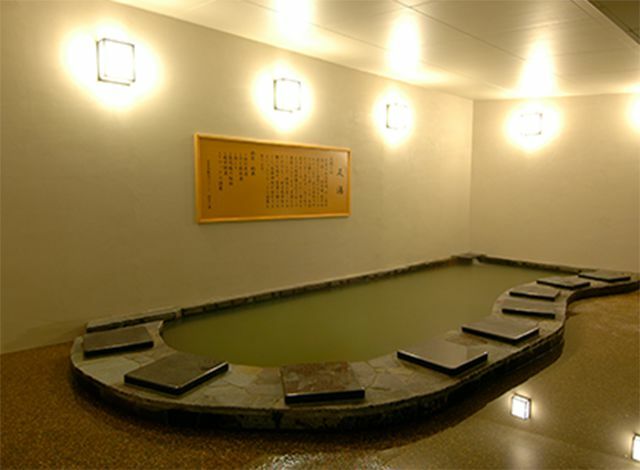 The tub uses Hokutolite plates made from specially treated Arita porcelain magnet. Choose from our extensive gourmet menu. How about a cold beer after a hot bath? Enjoy the view across Teganuma Lake. We serve straight-from-the-oven pizza and other light meals. Get a hand massage to rid yourself of accumulated fatigue! Indulge yourself in authentic Korean-style body scrub. 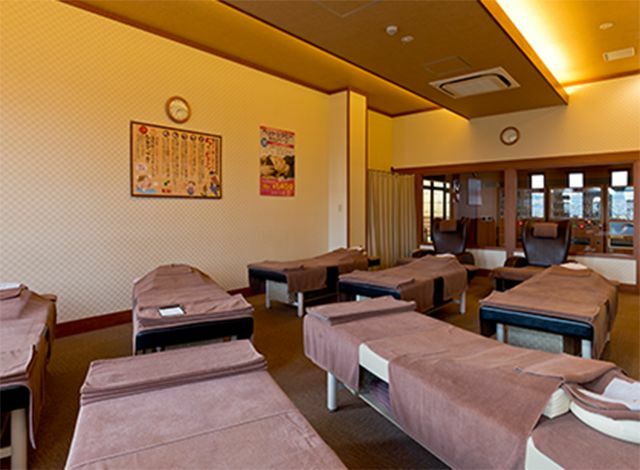 In addition to body scrubs, aesthetic treatments and mud body wraps are also offered. 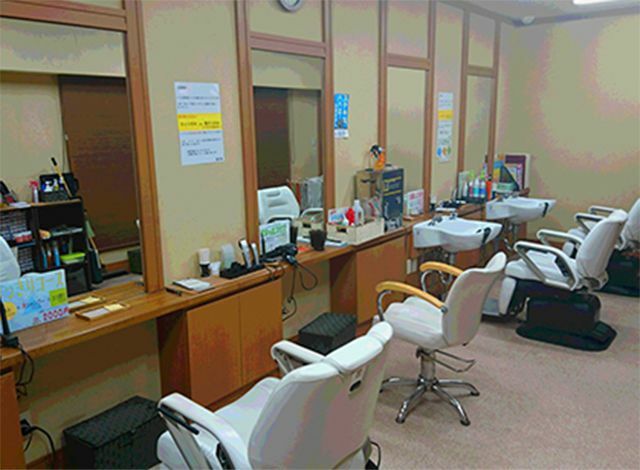 Unisex salon for everyone, from children to adults. Available are fresh locally grown vegetables, delivered straight from the farm. 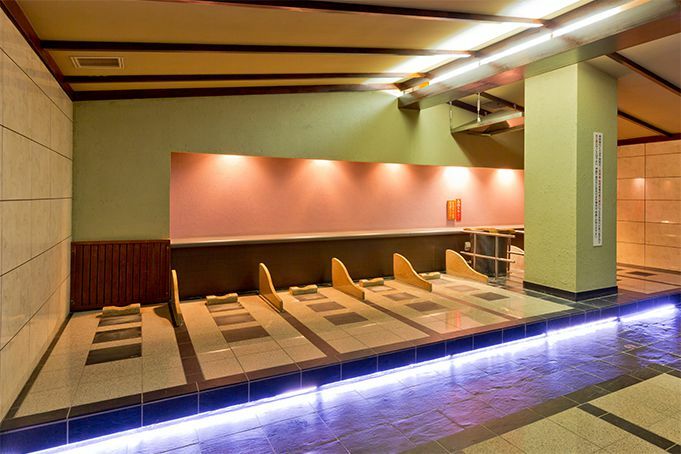 Soak your feet in the famed hot spring water. Free of charge. 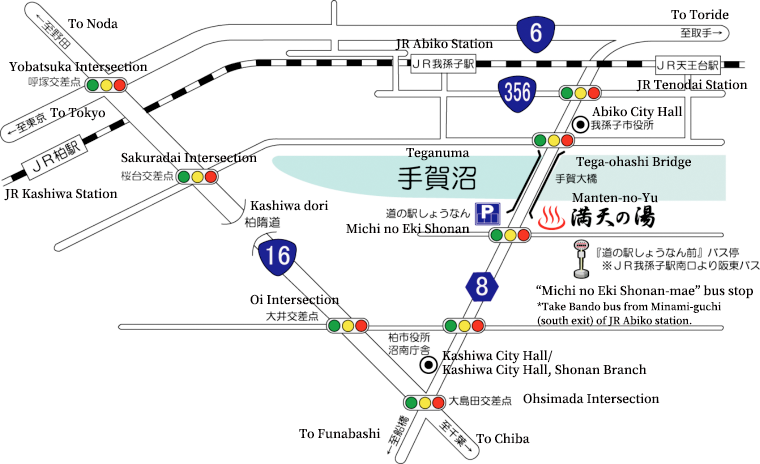 If that is the case, search for “Michi no Eki Shonan.” The GPS will guide you to the nearby area. From south exit of Abiko station on JR Joban-line, take the bus to Tega-no-Moti New Town. 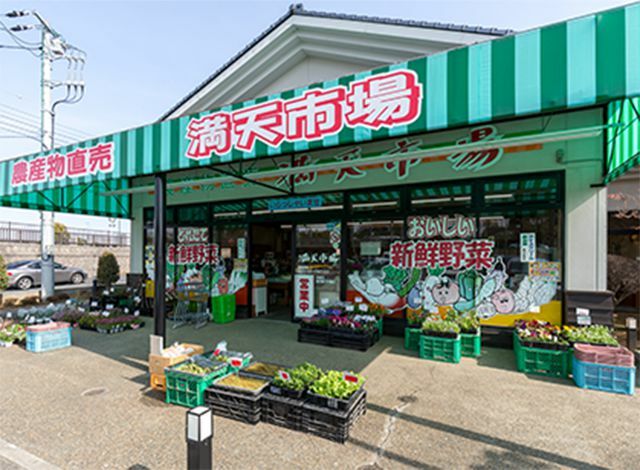 Get off at Michi no Eki Shonan-mae (about ten minutes from Abiko station). 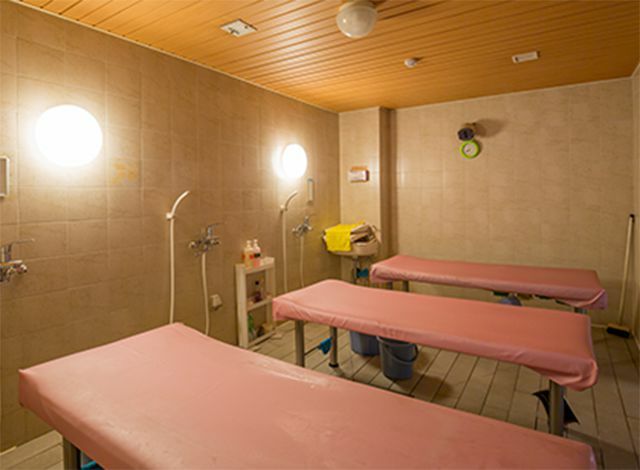 For your safety, our baths meet the inspection standards of the Public Bath House Act and furthermore, are regulated by stringent in-house bathing standards. Bathing inspections are usually carried out twice a year. However, in our establishmeny, they are carried out once a month. We also pay the utmost attention to safety and hygiene. 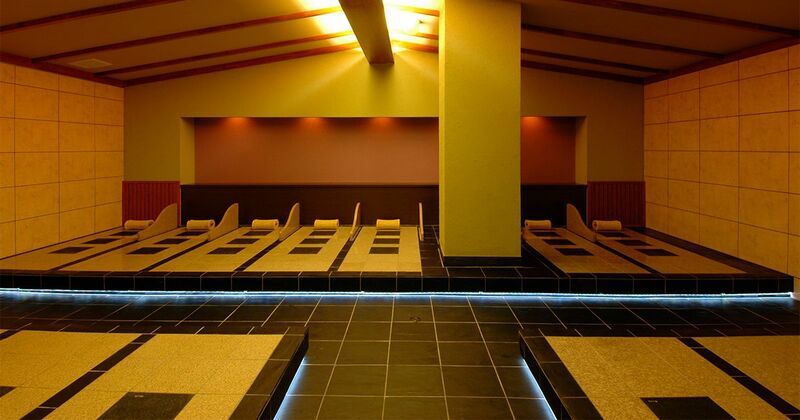 In addition to daily cleansing filtration, the baths are disinfected with high concentration chlorine once a week. Every three months, they are chemically cleaned. You can rest assured that we take sanitation control very seriously. © Copyright 2017　Manten Allrights Reserved.